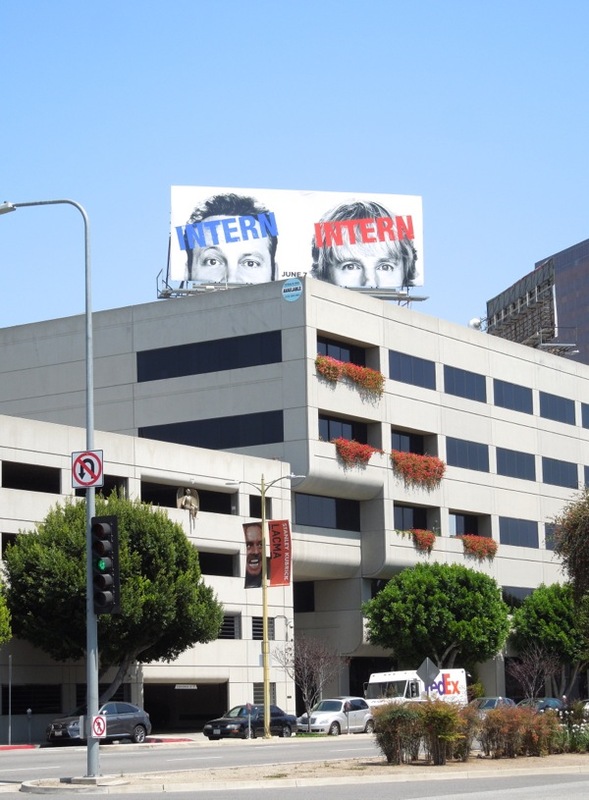 That's what first comes to mind when you see this pair of familiar eyes starring down at you from these Intern billboards (well at least for Daily Billboard anyway). 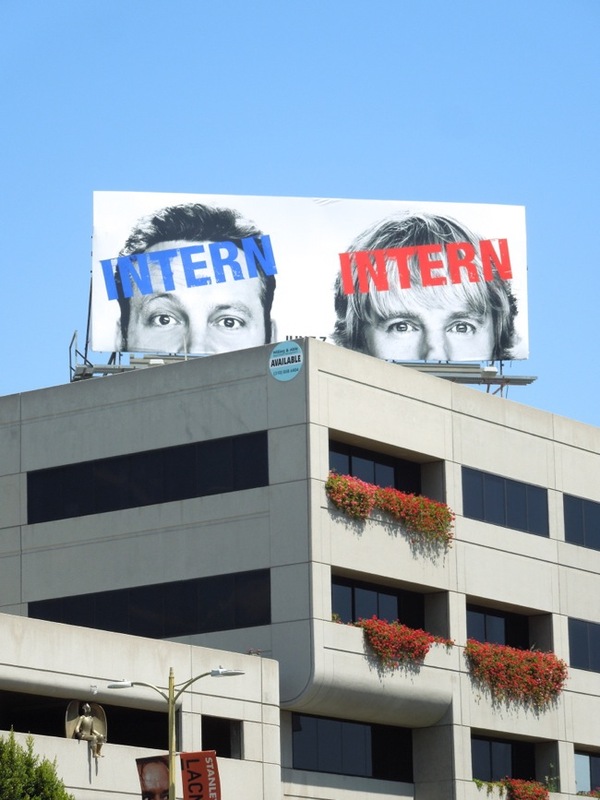 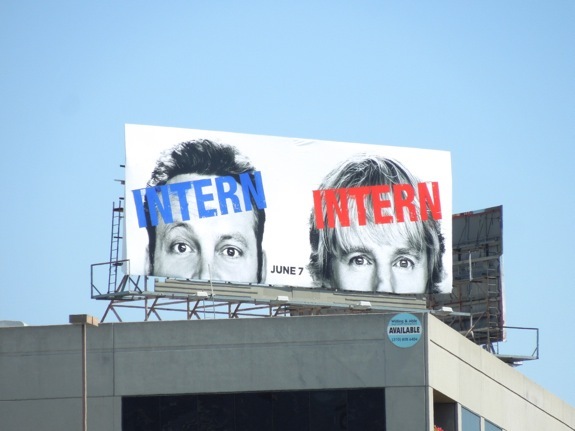 The simple creative really stands out with its bold burst of colour on the white background and is a nice tease for Vince Vaughn and Owen Wilson's new comedy, The Internship. 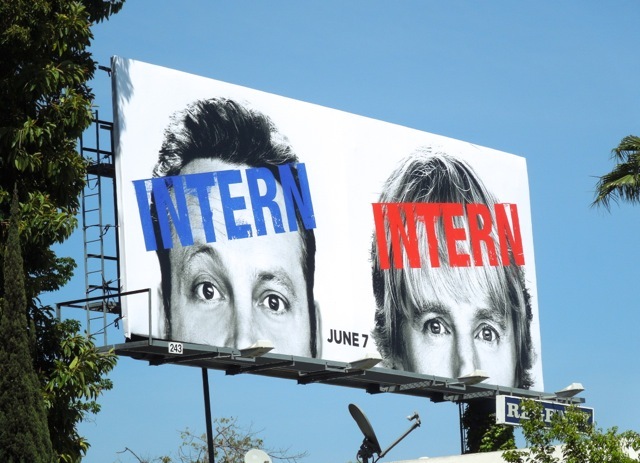 The duo play salesmen whose careers are derailed by the digital age, when they get a coveted internship at Google competing against a group of bright young things for a job. 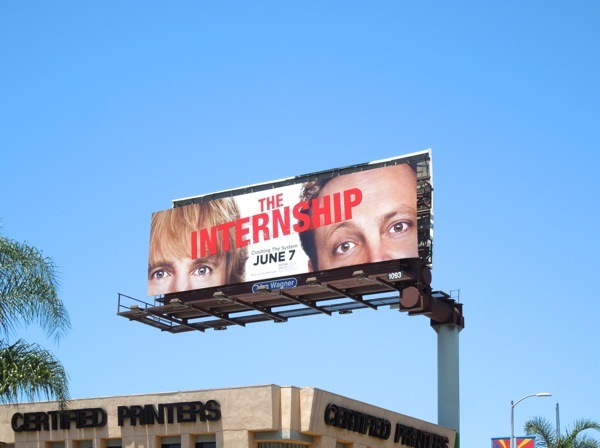 These fun billboards were first spied along Sunset Boulevard in West Hollywood on April 22 and the later along San Vicente Boulevard on May 10, 2013. 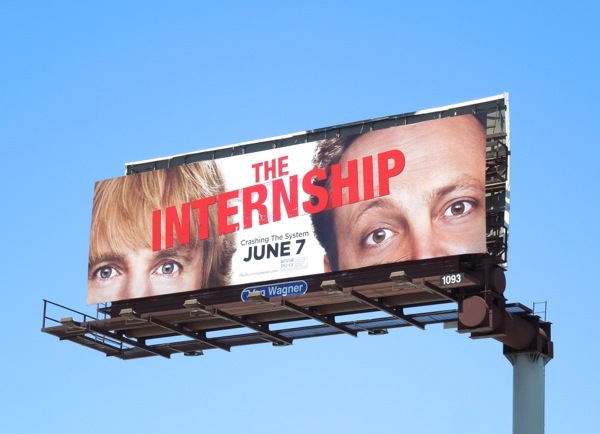 UPDATED: After being teased by those Intern billboards, here's a look at the official reveal billboard with the full movie title. 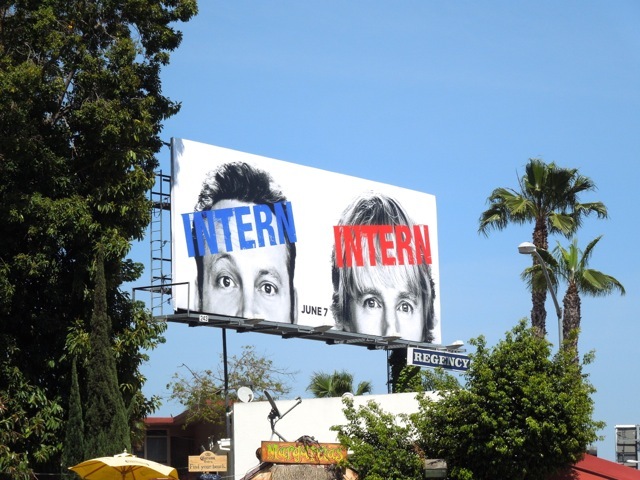 This billboard, where the boys are flipped around and in full colour, was spied along Cahuenga Boulevard in Hollywood on May 14, 2013.